Moo0 File Monitor lets you easily monitor the file access activities on your system. You can open the containing folder by double-clicking the item. - Supported 6 more languages in partial. 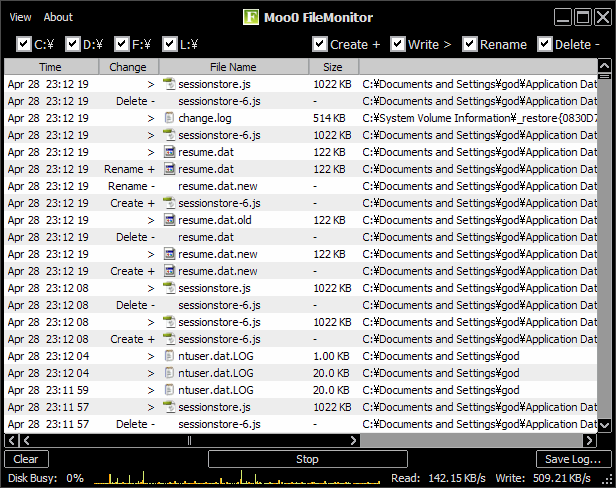 - Its English name has changed from "Moo0 FileMonitor" to "Moo0 File Monitor".